Punta Mona is located on the edge of primary rainforest, where the jungle meets the Caribbean Sea. Founded in 1997, we are one of the most established and bio-diverse permaculture farms in Central America, home to an abundance of tropical fruit and nut trees, roots, herbs, medicinal plants, greens, flowers and rare ornamentals. The property is roughly 88 acres, 10 of which is intentionally cultivated as our farm and retreat center, and the rest of which is national forest habitat reservation. Permaculture food forests mimic the design and ecosystem processes of established forests, intertwining plants with various functions to support each other’s optimal growth. From nutrient-fixing ground-covers to fruit-bearing perennial trees, Punta Mona has over 300 species of trees, roots, nuts and herbs. Our gardens are both beautiful and functional! As you walk the paths that weave through our farm, you’ll notice vibrant tropical flowers and medicinal herbs blooming year-round. 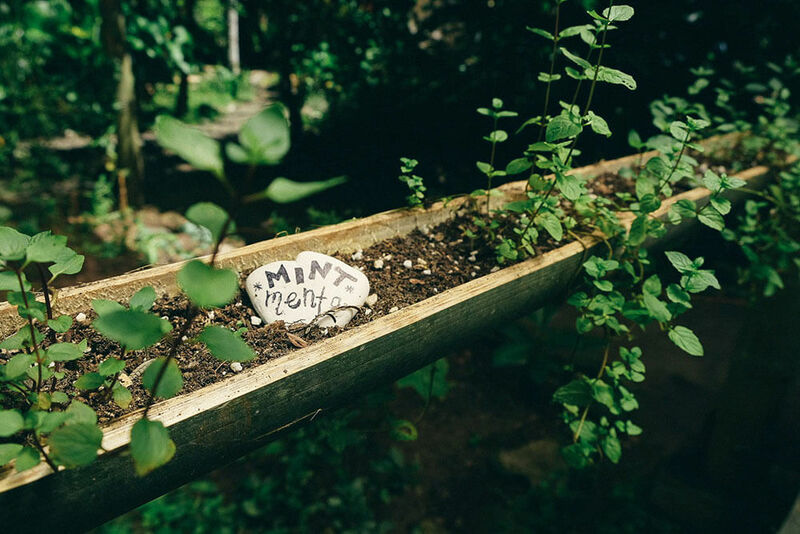 Punta Mona proudly cultivates an extensive and ever-growing botanical collection, making our farm an ideal place to study plant species, organic edible gardening, plant propagation, and herbalism. Our greenhouse is located out the back door of our kitchen, as we harvest leafy greens twice a day for our farm-fresh salads. The open-air design is customized for our tropical climate, and provides shade and shelter for our seed-starts, cuttings, and nursery plants. We love our chickens! Our coop can house up to 40 chickens, and during the day we let them roam free to forage, help with pest-control, and fertilize our land. Every day, one of our community members tends to the coop, freshening nesting boxes with fragrant herbs, replacing rainwater for drinking, and delivering compost and nutrient-dense greens like moringa and katuk.